Join acclaimed yoga teacher and Ayurvedic consultant Scott Blossom for an in-depth look at how Ayurvedic principles can help us establish a daily routine for promoting optimal health and preventing illness. Ayurveda is about bringing balance and rhythm into our lives. Our Ayurvedic lifestyle course from acclaimed yoga teacher Scott Blossom will give you the tools to nurture a healthy, personalized routine for your daily life. This video can be viewed on its own, but is most effective when viewed as the third part of a three part Ayurvedic video series. In parts 1 and 2, Scott Blossom introduces viewers to Ayurveda, the primary Doshas, and how to make intelligent, healthy dietary choices for your individual needs. Pranamaya’s Ayurvedic Daily Lifestyle video demonstrates basic principles for establishing a daily routine. According to Ayurvedic philosophy a consistent and healthy routine based on the Dosha can bring balance, promote optimal health, and prevent illness. Our Ayurvedic lifestyle course can give you the tools to create your own personalized routine. Create harmony and rhythm in your daily life and find balance and stability in your mind, body, and spirit with Ayurveda. This helpful video is available for immediate download from Pranamaya. And all three programs can be purchased together for additional savings. Watch Scott Blossom’s in-depth look at Ayurveda now and learn how it can improve your life. Establishing a daily routine can provide mental and emotional stability, and strength. Bring balance and health to your life with our Ayurvedic lifestyle course. Scott Blossom is a renowned traditional chinese medical practitioner, Shadow Yoga teacher and Ayurvedic consultant with over 20 years of yoga practice and over a decade of experience teaching. He specializes in the integration of Yoga and Ayurveda as well as Ayurvedic diet and lifestyle therapies, and has has studied closely with the leading authority on Ayurveda, Dr. Robert Svoboda. 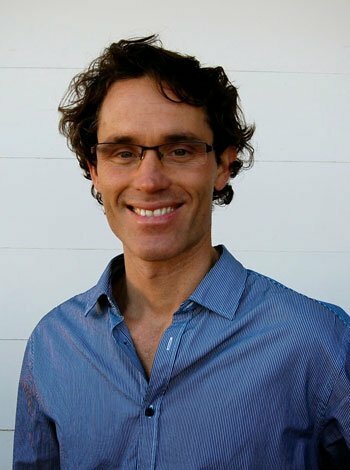 AYURVEDIC DAILY LIFESTYLE with Scott Blossom. At Pranamaya, our mission is to help you find the teachings and courses that are right for you. Watch the video above for a preview of this program.